Fastjet, Africa's low-cost airline, has announced that it is increasing capacity on its recently launched Dar es Salaam to Lusaka (Zambia) route in response to strong demand from its customers. From 15 April 2014, a Tuesday rotation will be added to the existing timetable, adding 50% more capacity on this popular route. Tickets for the additional flights will go on sale today. The airline says that, the route which started operating on 1 February 2014, has already seen very high load factors; the Lusaka to Dar es Salaam leg has been particularly popular with a number of flights having sold-out completely. "We are thrilled with the response to the launch of our Dar es Salaam to Lusaka route. Our research suggested that this was going to be a successful route with high demand but initial passenger numbers and interest have exceeded expectations. We expect to add still more capacity on this route - our target is to operate daily. "Additionally, our plans to establish a base in Zambia are progressing well. 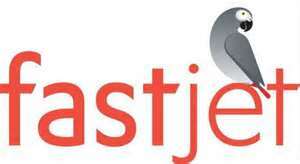 A company named "fastjet Zambia" is being incorporated and we have commenced the process of obtaining an Air Operating Certificate in Lusaka." The airline launched the Dar - Lusaka route, its second international, on February 1, 2014. It started with a twice-a-week service and will now add a third rotation each Tuesday in responding to high demands. Watch this space for aviation news and updates.